These three scientists have co-authored 17 scientific papers, but have never been in the same room at the same time, until now! Saturday 12th May is a day dedicated to those who are already affected by Electrohypersensitivity. Sunday 13th May is open to anyone who would like to learn more about the health risks of Microwave Radiation. Each day has a similar format: a screening of the 2017 US documentary film “Generation Zapped”; an early lunch; then a full afternoon with these experts. Here are brief biographies of your speakers. 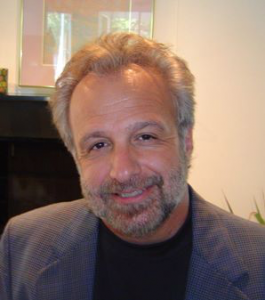 George L. Carlo is a world-recognised medical scientist, best-selling author and lawyer. He has training in pathology, epidemiology, medical science and law, and is a Fellow of the American College of Epidemiology. His discoveries have been incorporated into US and global patents in areas including anti-viral vaccines, medical devices and environmental protection technologies. Dr. Carlo headed the world’s largest program addressing mobile phone health effects. The $28.5 million WTR programme ran from 1993 to 1999, was overseen by the U.S. government, funded through the wireless industry trade association, and established early health concerns around cell phone use. 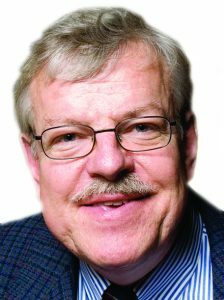 His career spans more than 30 years and hundreds of medical, scientific and public policy publications in the areas of public health, workplace safety and consumer protection. Dr Carlo’s 2001 book, “Cell Phones: Invisible Hazards in the Wireless Age”, co-written with journalist Martin Schram, remains in circulation and is printed in seven languages. Olle Johansson is a world-leading authority in the field of EMF radiation and health effects. Retired associate professor from the prestigious Karolinska Institute, he has a long and distinguished background in the neurosciences. Olle Johansson has co-authored many scientific papers and is a popular, well-known speaker at conferences around the world. His numerous published articles, book chapters and reports cover the fields of basic and applied neuroscience; dermatoscience; epidemiology; and biophysiology. He is one of the authors behind the original Bioinitiative Report; Seletun Statement; The London Resolution; The Benevento Resolution and The Venice Resolution. His awards include the Nokia Consumer Electronic Award and The Grand Environment Award of the Cancer and Allergy Foundation. 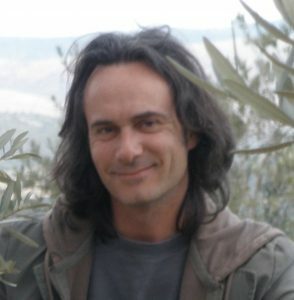 EMF Bio-physicist Dr Dimitris J. Panagopoulos has a Degree in Physics and a PhD in Biology from the University of Athens. He completed his PhD on the Biological Effects of Electromagnetic Fields (EMFs) in 2001, and post-doctoral research on cell death induction by microwave radiation in 2006. For the past 15 years he has been working at the Section of Cell Biology and Biophysics, Department of Biology, University of Athens. He has been giving lecture on Radiation Biophysics (physical properties and biological effects of ionising and non-ionising radiation) to students of the Biology and Physics Departments of the University, and researching effects of EMFs on experimental animals. Since 2014 he has been working at the National Centre for Scientific Research “Demokritos”, Laboratory of Health Physics, Radiobiology and Cytogenetics, researching the effects of ionising and non-ionising radiations on human cells. His experiments were among the first to show the effects of mobile telephony radiation on DNA, and his theory on the mechanism of the action of EMFs on cells is considered the most valid.